Having diabetes doesn’t mean you have to cut out starchy foods completely. You can still enjoy them in the right portion sizes! 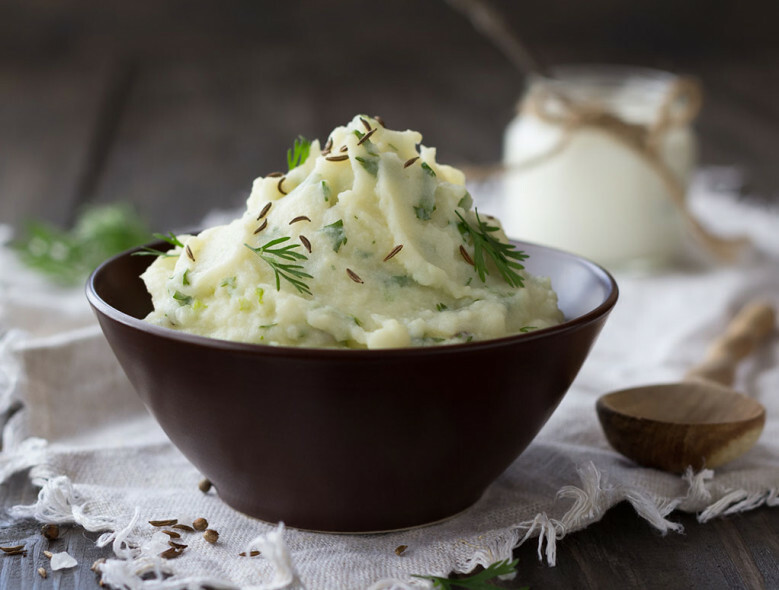 This recipe for mashed potatoes skips the butter and cream and uses healthier ingredients to make a dish that is still tasty and full of flavor. Place potatoes in a large pot, and cover with water. Bring to a boil over high heat, reduce heat to medium, and cook, uncovered, for 10-15 minutes or until tender. Drain. Add lemon juice and olive oil, and begin mashing by hand or with an electric mixer. When mixture is smooth and creamy, stir in lemon zest, cilantro, dill, salt and pepper. Serve warm. @Edna DeFoney The recipe does call for 1/4 cup cilantro, though the authors do suggest fresh cilantro (we've adjusted the ingredient name to reflect this). But they really like cilantro! Feel free to adjust the amount to taste based on your own preferences. The 1/4 cup of cilantro has to be a mistake. Maybe more like 1/4 teaspoon?